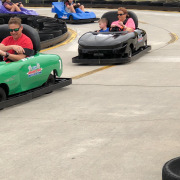 One of Myrtle Beach’s most popular family attractions, Broadway Grand Prix offers an assortment of exciting activities and games, located at the iconic Broadway at the Beach destination. 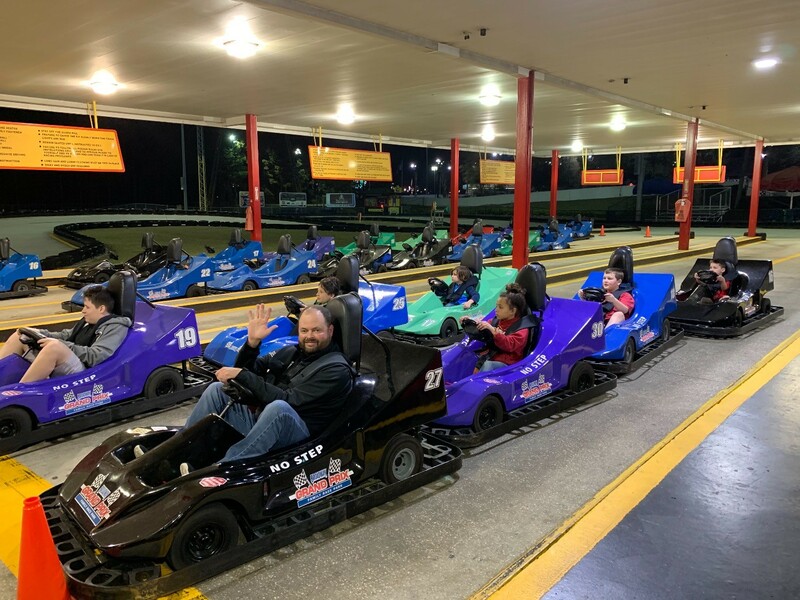 Guests can take advantage of the facility’s seven go-kart tracks, six children’s rides, two miniature golf courses, a rock climbing wall, an indoor arcade, a thrilling Skycoaster® ride, and more. 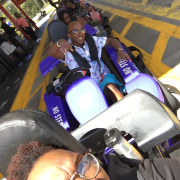 Guests must meet height requirements for certain rides. Refuel at the snack bar on-site. 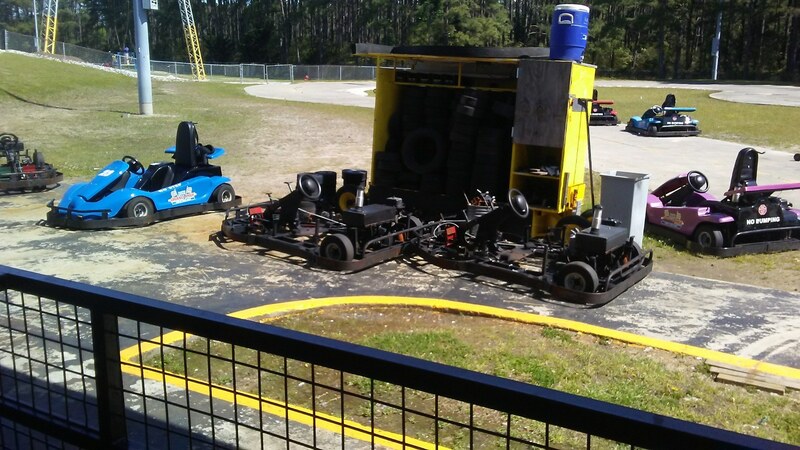 Features 7 unique go-kart tracks, two 18-hole mini-golf courses, and 6 children's rides. 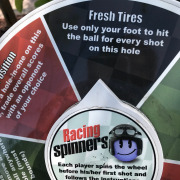 Everyone needs a little thrill! 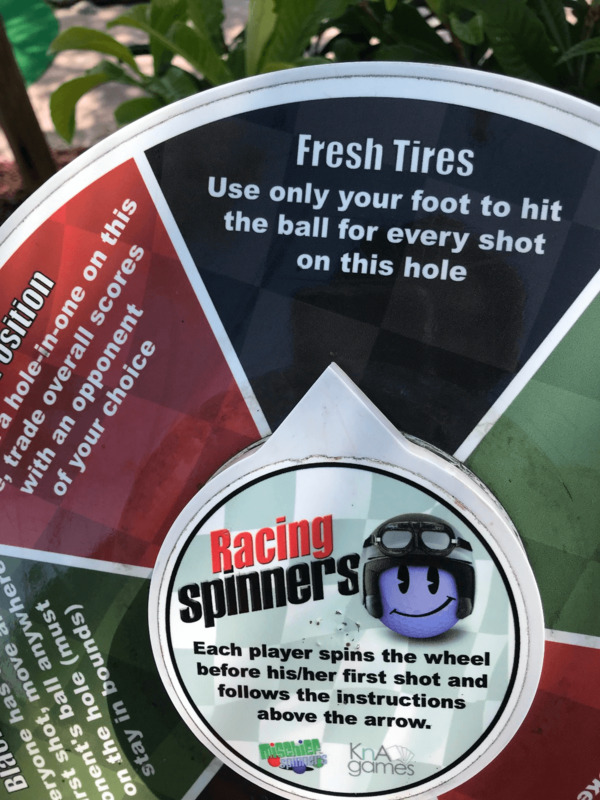 Race to victory on our seven go-kart tracks, become a legend on the two 18-hole mini golf courses or get the highest score in the Grand Prix arcade! 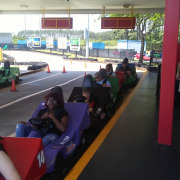 Broadway Grand Prix offers all the greatest Myrtle Beach attractions and games so there’s plenty of fun for all ages! Conveniently located across from Broadway at the Beach. 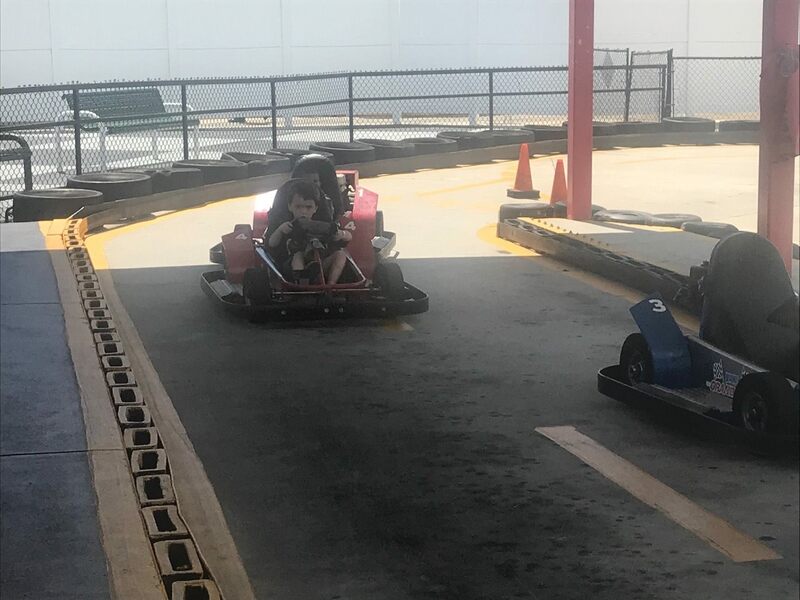 The Place to Race... for all ages! 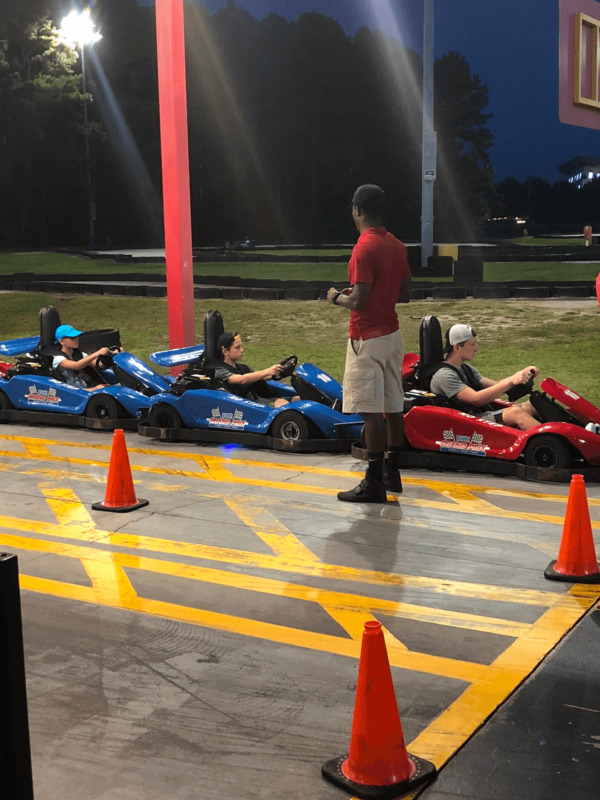 Go-kart racing is a fun way to enjoy your Myrtle Beach vacation with an exhilarating sport that everyone in the family can participate. 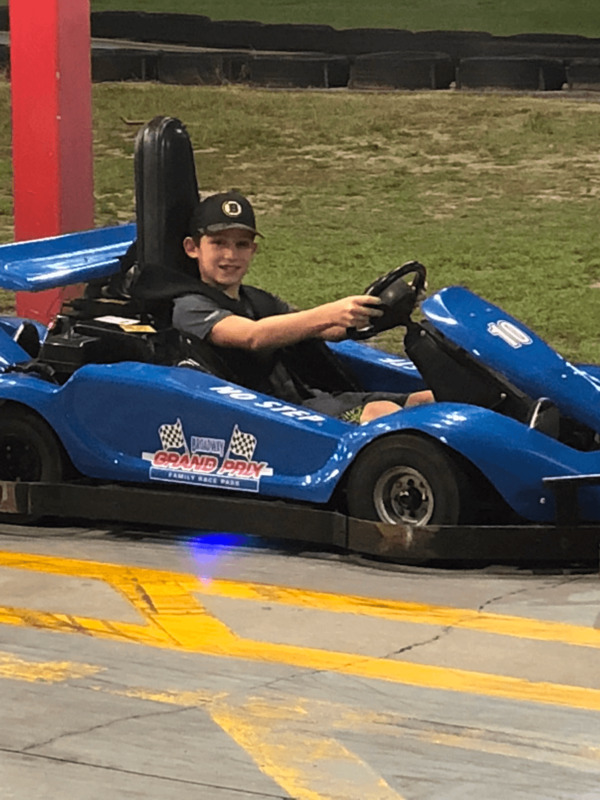 Broadway Grand Prix offers go-karts for all skill levels. 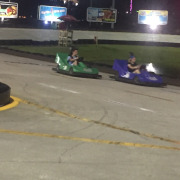 We feature seven unique go-kart tracks. 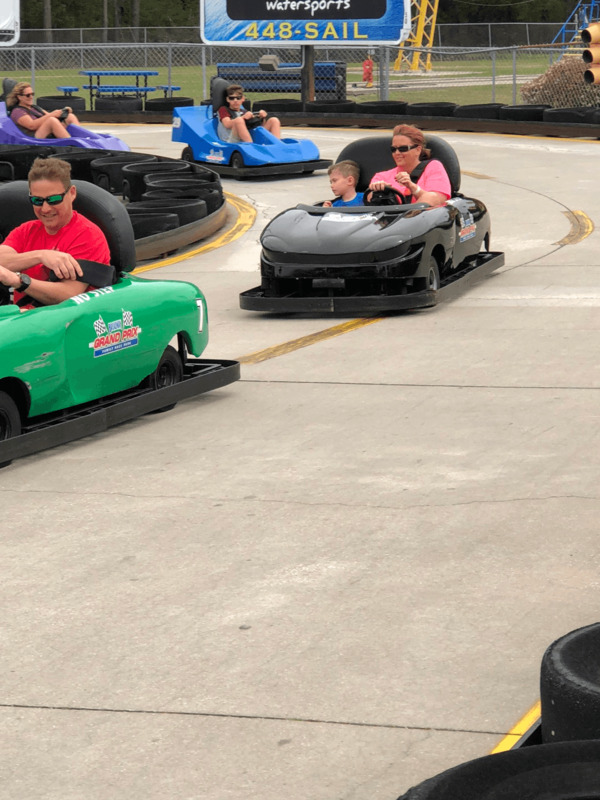 Experience twisting and turning fun on the Oval Track, Fast Track, Family Track, Speed Racer, Junior Racer, Grand Prix & Slick Track! 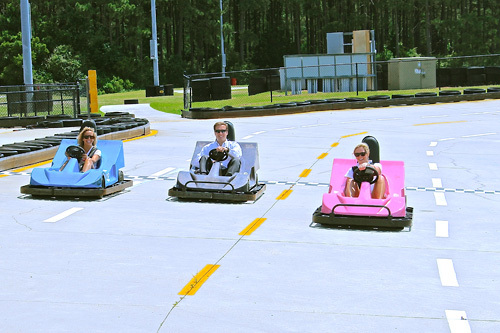 Family Track - Head out to the Family Track where racers of all experience levels can enjoy this long course. 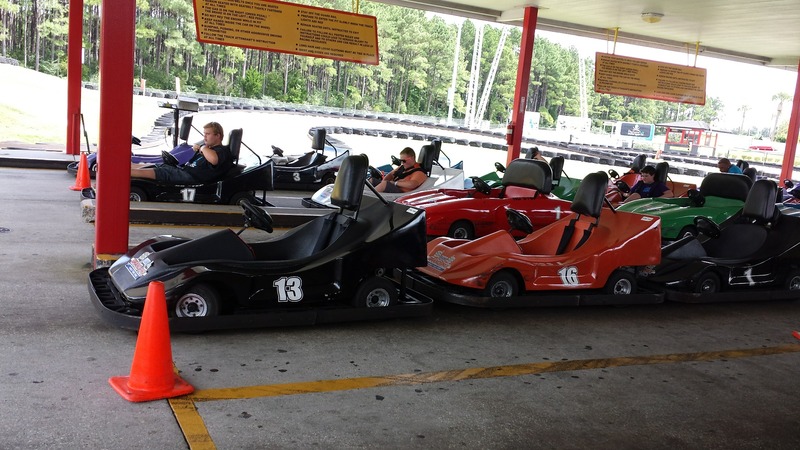 Race alone or in doubles, this course features single and two seater karts. 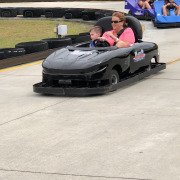 Must be 54” to drive Speed Kart, 48” to drive Jr. Kart and 60” to drive Family Kart, 40”-47” to be a passenger in Family Kart. 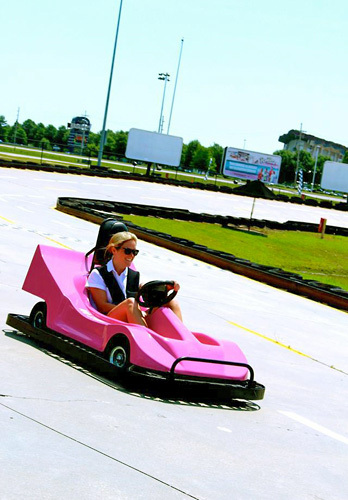 Grand Prix Pro Track - Test your skills on our fastest track! 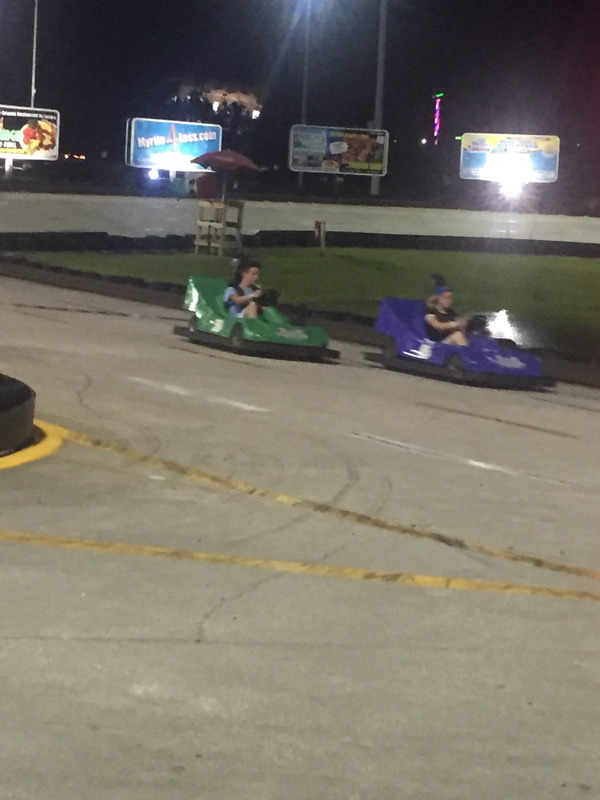 Speed through challenging sharp turns and race to a bracing finish on the Grand Prix Pro Track! 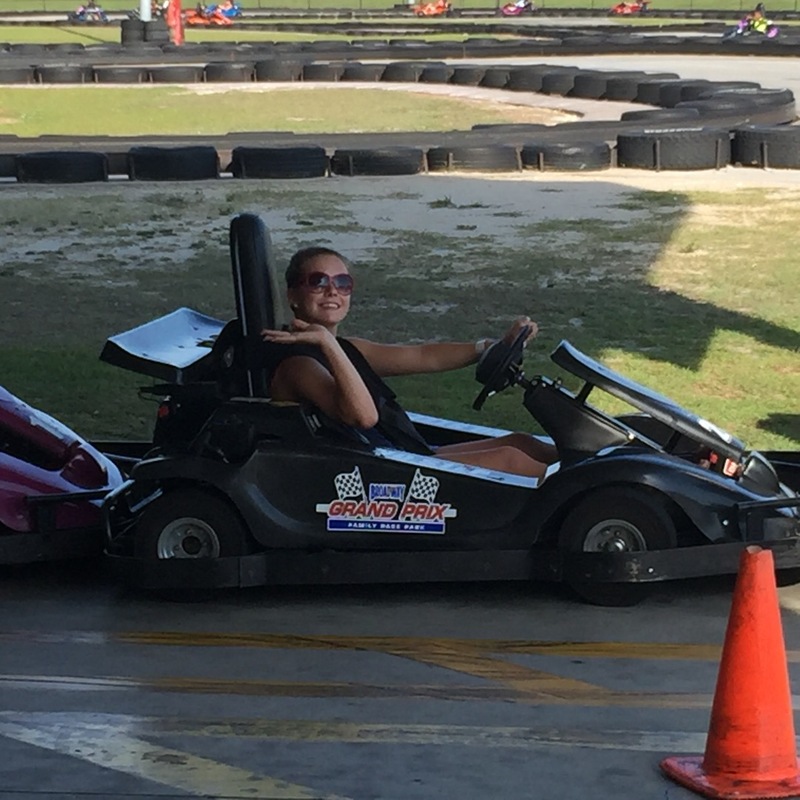 Cars can race up to 20 mph through this quarter mile track. Height requirement of 60" or taller to drive. 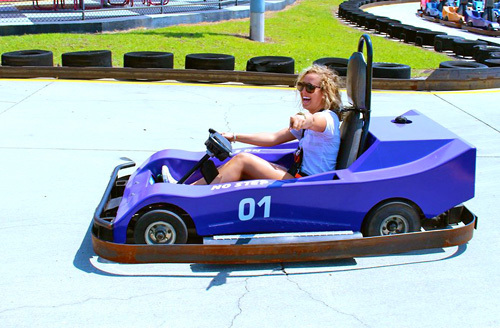 Junior Racer - Underage driving is encouraged on this 200-foot track designed for beginners! 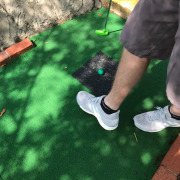 Drivers must be at least 48” tall. High Bank Oval Track - This track will sure get your competitive engines going! Be prepared for sharp turns and high banking. 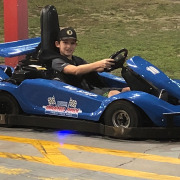 Must be 54” to drive Speed Kart, 48” to drive Jr. Kart and 60” to drive Family Kart, 40”-47” to be a passenger in Family Kart. 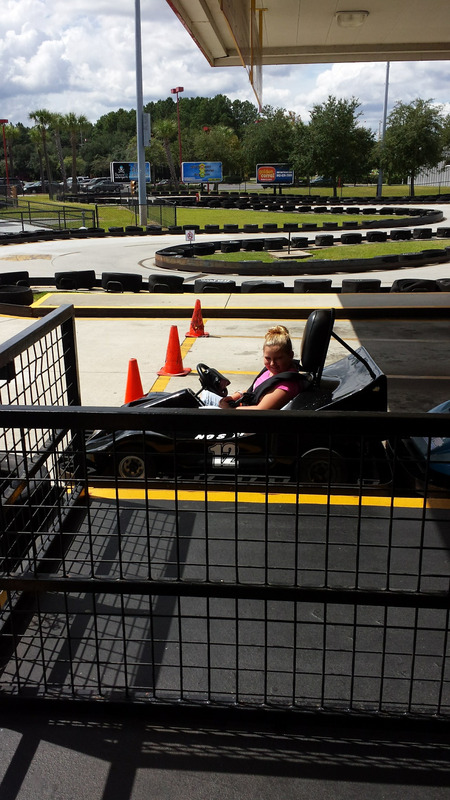 Slick Track - This track features tough, tight turns. 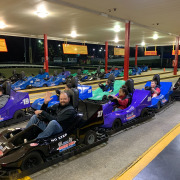 Drivers must be at least 54” tall. 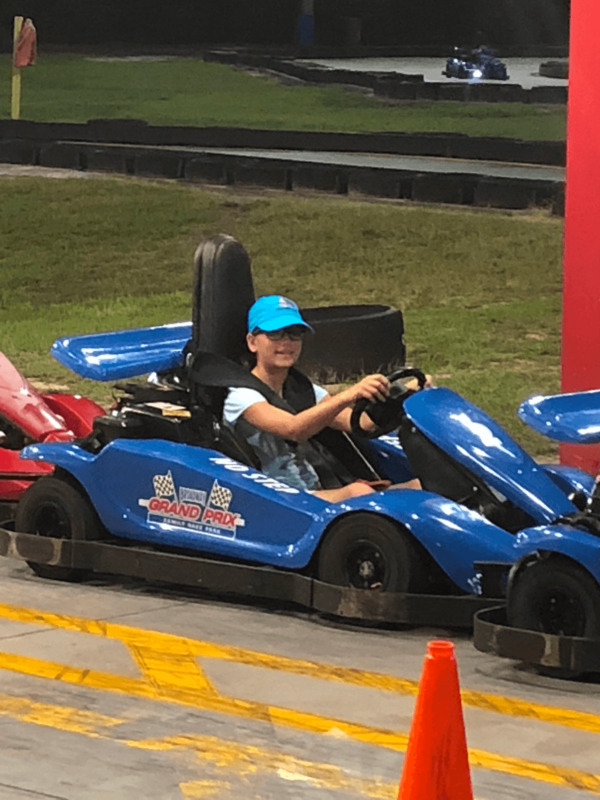 Speed Racer - A short, exciting track where the SPEED is turned up! Drivers must be at least 60” tall. 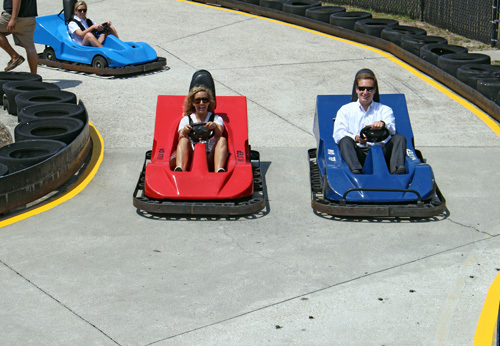 All you can ride wristband includes 7 go-kart tracks, 7 kids rides, bumper cars and two 18-hole mini golf courses. Excludes midway games, sky coaster and rock wall. Must meet all Height & Age restrictions. 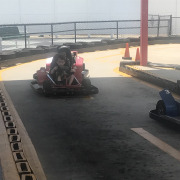 2 years of age and under are FREE. 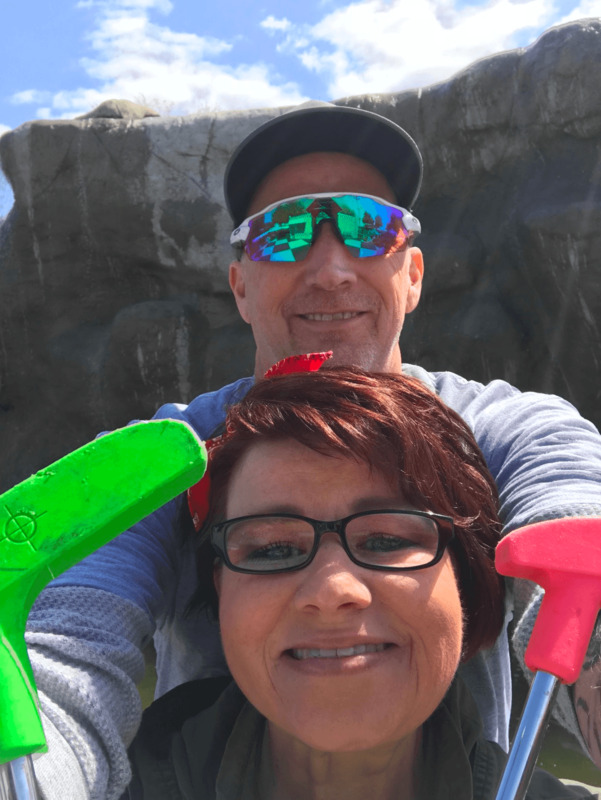 Are there height and age requirements for all of the attractions? 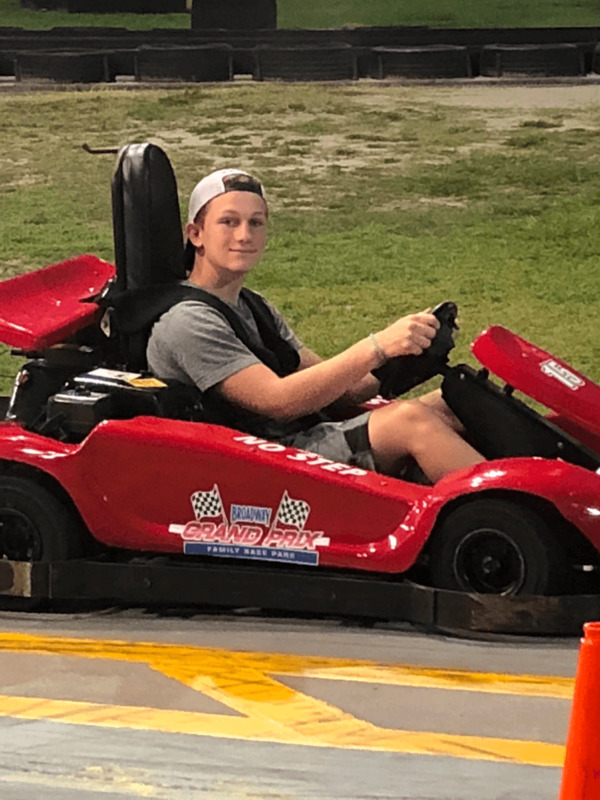 Grand Prix Pro Track — Must be 60" or taller to drive. 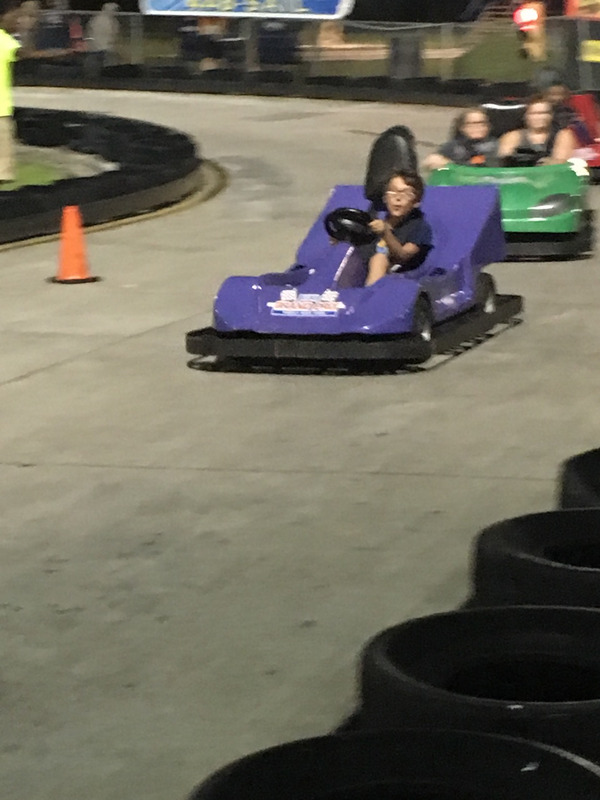 High Bank Oval Track — To drive a Speed Kart, guests must be 54” or taller. 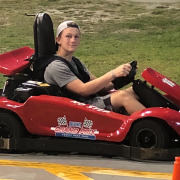 To drive a Jr. Kart, participants must be a minimum of 48" tall. 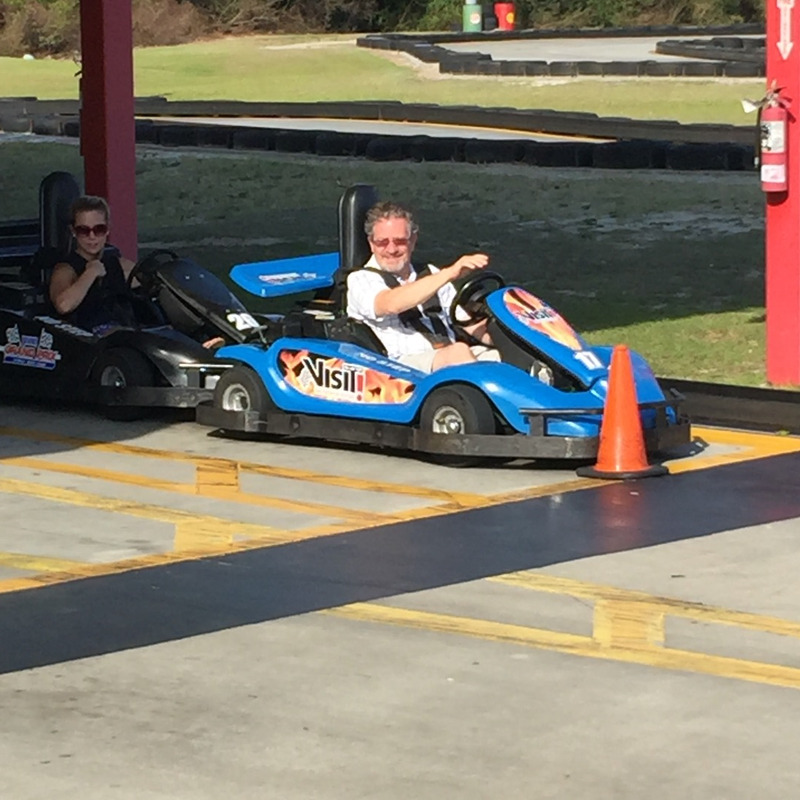 For the family karts, guests must be 60" or taller to drive or 40-47" tall to ride. Slick Track — Must be 60" or taller to drive. 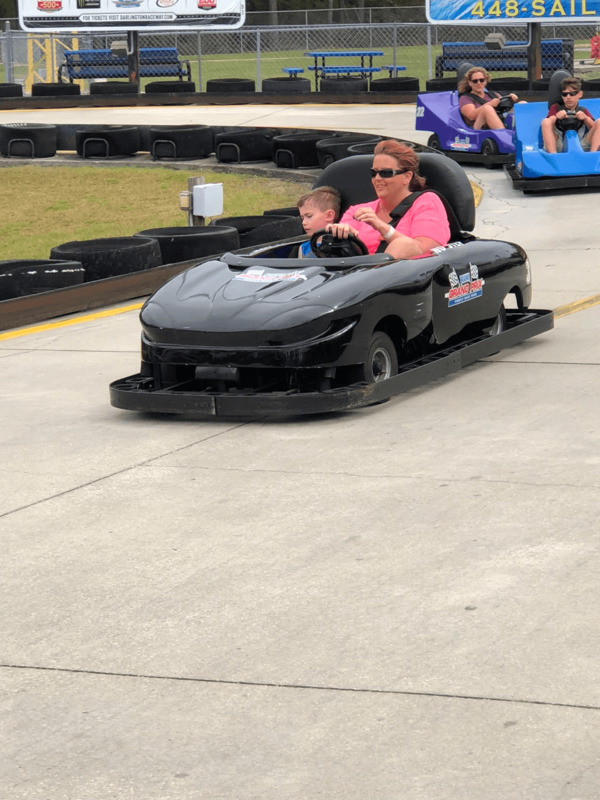 Speed Racer Track — Must be 60" or taller to drive. 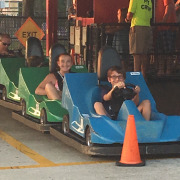 Family Track — Guests must be 54” or taller to drive a Speed Kart. 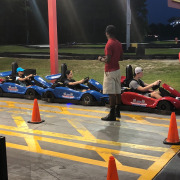 To drive a Jr. Kart, participants must be a minimum of 48" tall. 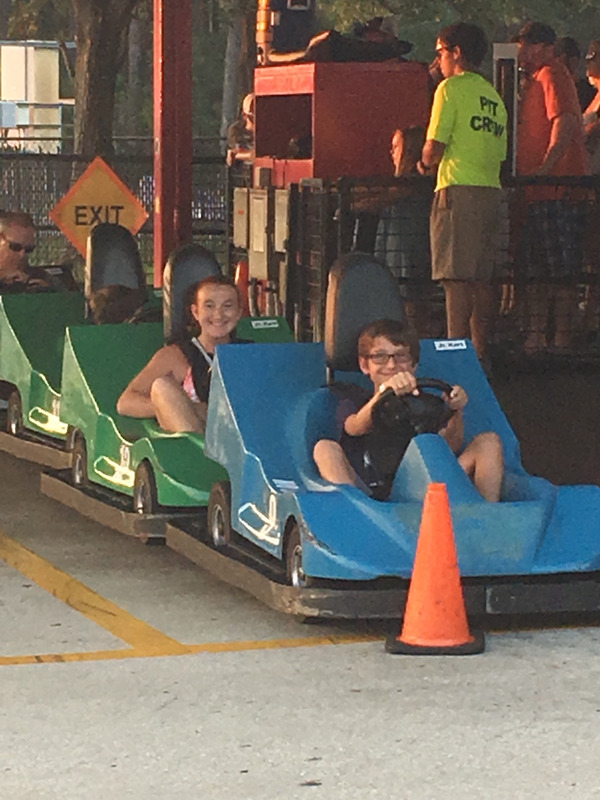 For the family karts, guests must be 60" or taller to drive or 40-47" tall to ride. 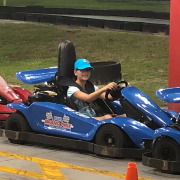 Junior Racer Track — Must be 48" or taller to drive. 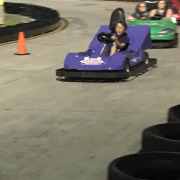 Kids Track — Must be 40" or taller to drive. 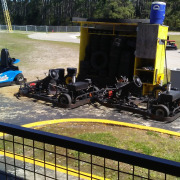 Tracks and height restrictions are subject to change at the discretion of Broadway Grand Prix Go-Kart Park. 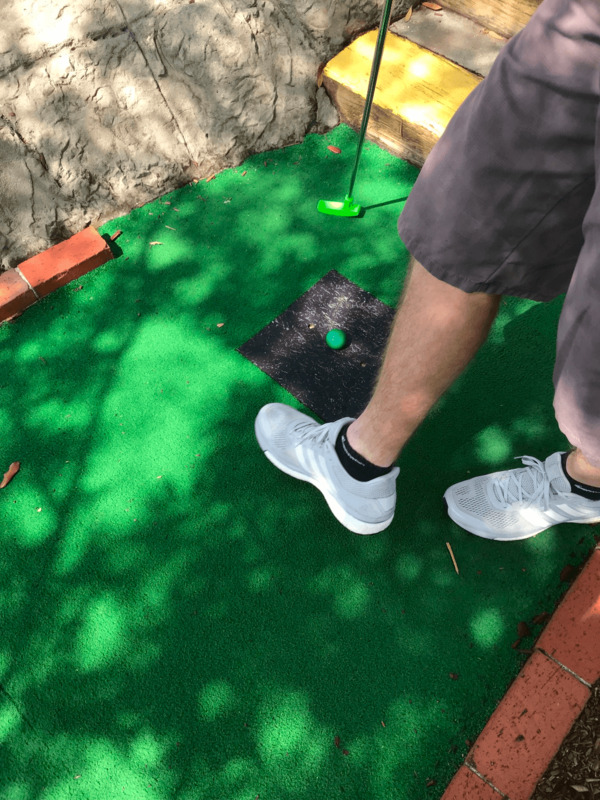 What are the hours of operation for the park? The hours of operation vary per season. 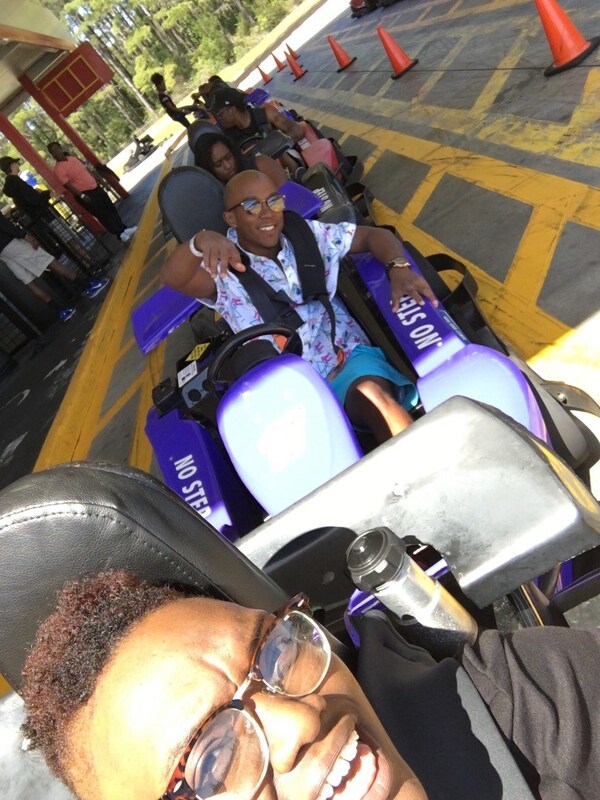 What is included in the “All You Can Ride” wristband? 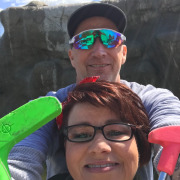 Guests must meet all height and age requirements put in effect by the park in order to enjoy all of the attractions available by the “All You Can Ride” wristband. 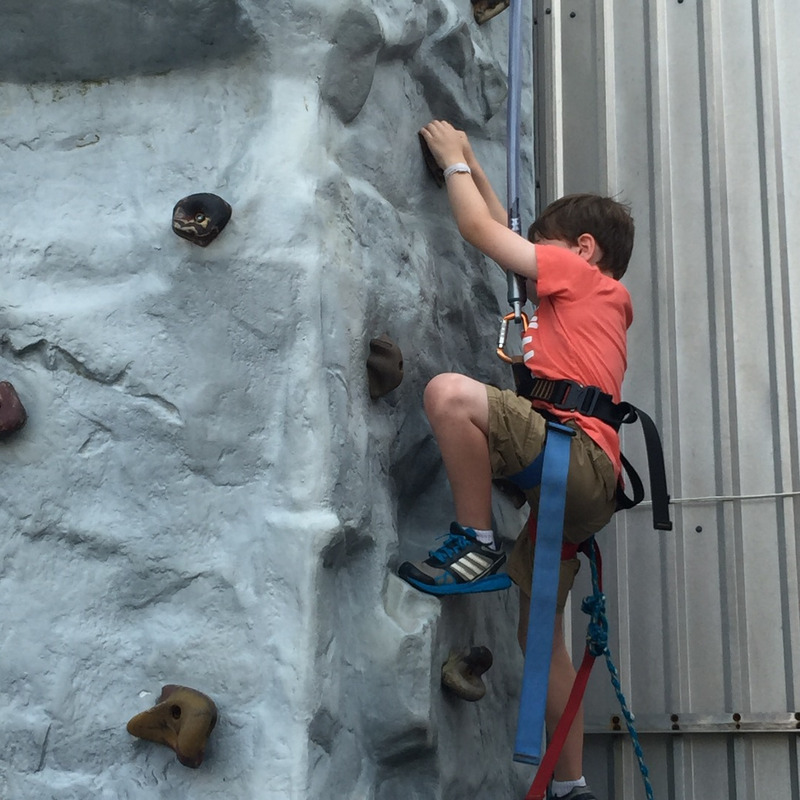 The wristband does not provide admission for or access to the rock climbing wall, midway games, or Skycoaster. Yes. 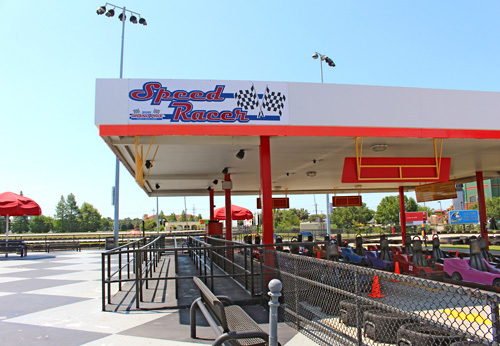 Guests can enjoy food and refreshments at the Grand Prix Café. The cost of food is not included in admissions ticket price. 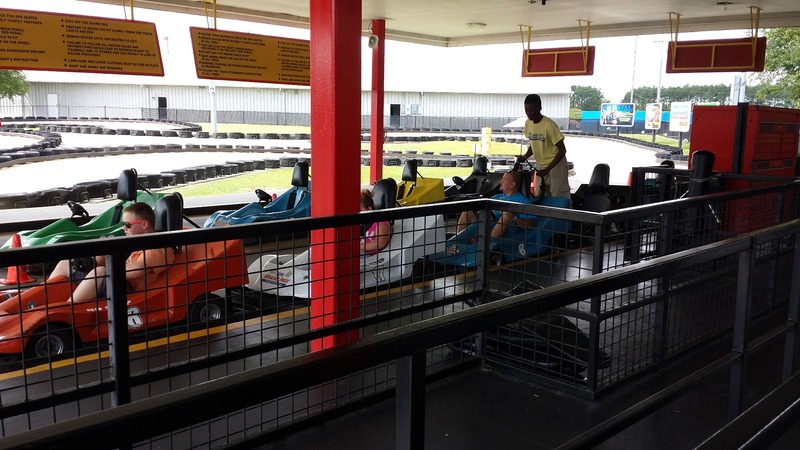 Where is Broadway Grand Prix Go-Kart Park located? 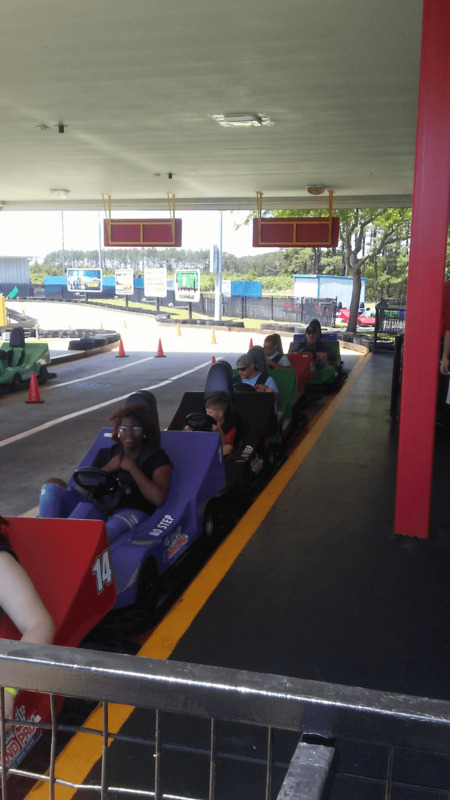 The park is located at 1820 21st Ave North, Myrtle Beach, SC 29577.